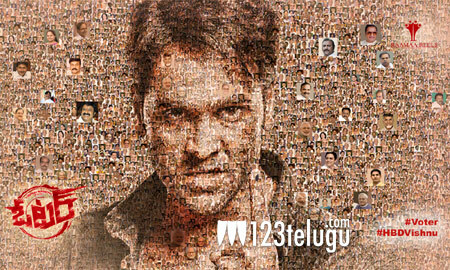 Vishnu Manchu is one actor who is doing different films time and again. Now, he has come up with a very interesting entertainer called Voter. Touted to be a complete social entertainer, this film’s first look was revealed yesterday night on behalf of Vishnu’s birthday. The poster has been designed quite nicely with a number of celebrity faces engraved in the design. By the looks of it, the poster gives a feeling that the film is going to be quite hard hitting as well. Directed by Kartik Reddy, Voter has Young starlet Surbhi as the female lead in the movie and John Sudheer Pudota is producing this film. SS Thaman scores the music.